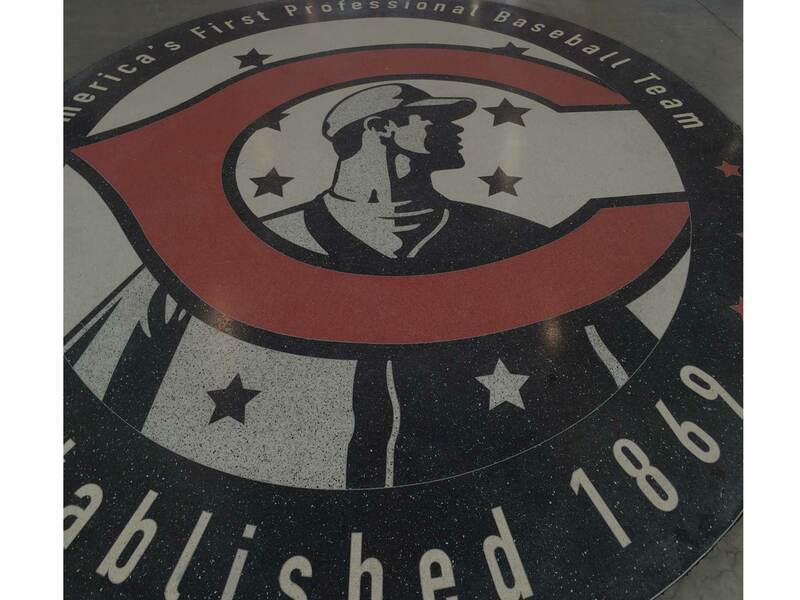 New School versus Old School long ago hijacked the baseball conversation in Cincinnati, putting Joey Votto on the witness stand while counselors from both sides cross-examined OBP Joey, then RBI Joey. Despite cries to the contrary, baseball forensics won the day. That worn, old school baseball glove didn’t fit, so OBP Joey was acquitted of crimes against the grand old game, even as the losing side continues to demand a retrial in the uncivil court of public opinion. Still, even the most sabermetric among us must admit that deep inside exists a love affair with baseballs that go boom. Our parallel strands of hardball DNA—Home Run and RBI—make up the genome at the heart of the sports fan genetic code. The cortex speaks to us. Be honest. It’s not just chicks who dig the long ball. Analytical Joey may have our heads. Affable Jay has always had our hearts. So, along came Jay Bruce. His 3-for-3, two RBI debut in the big leagues back in 2008 was Christmas morning for a fan base ready to turn the page on a decade of losing. Those early days were a promise of tomorrows and tomorrows to come down in the ballpark hard by the river. A slow start followed by a wrist injury in the 2009 season meant the formal arrival of the next Reds impact cleanup hitter would have to wait. Finally, in 2010, Bruce arrived, a man in full. His 25 HR, .281 AVG, .358 OBP and 124 OPS+ was capped on September 28, when Jay clobbered a bottom-of-the-ninth inning, walk-off home run to clinch the NL Central title. 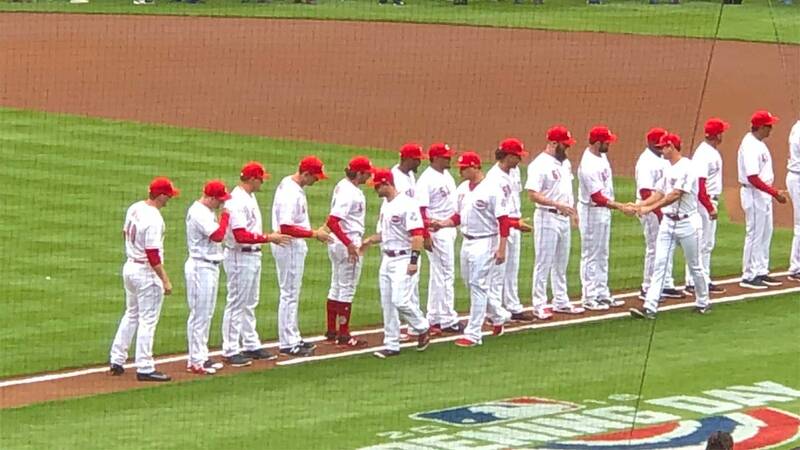 Cell phones flashed and a ballpark shook in a way never before felt in the short history of Great American Ball Park. 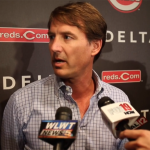 Fifteen years of wandering the non-postseason wilderness was over for the Cincinnati Reds. Baseball’s oldest team had their new hammer of the gods. Seasons unwound, filled with inconsistency and more waiting. 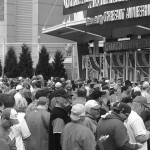 Each year, it seemed April Jay would give way to May Jay, and on and on and on throughout each summer, the tepid starts followed by a temporary fusillade of incoming baseballs bouncing among the moondeck seats. 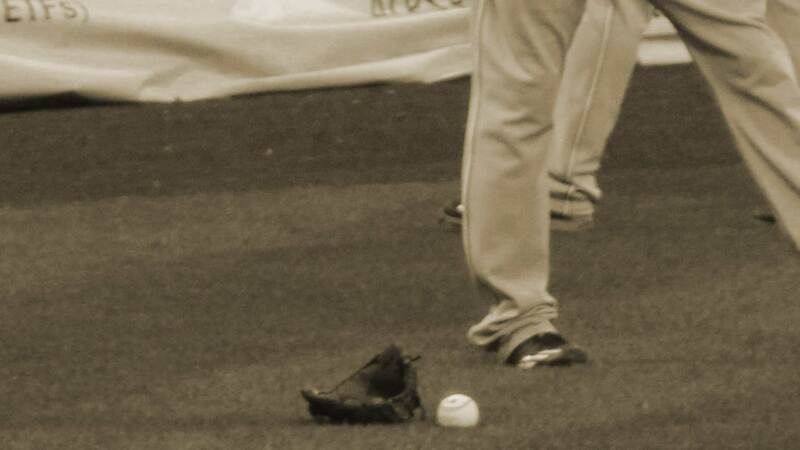 Feast or famine though, he was always Affable Jay, earnest and approachable; as honest as his home runs were long. Still, Bruce’s journey and his relationship with fans and media has been … well, let’s just say … it’s complicated. His breakthrough season AVG and OBP numbers would never be repeated. From 2011 through 2013, the power numbers climbed. But, his walks would fall, the strikeouts rise, along with a persistent criticism he wasn’t consistent enough as a hitter. Yes, his Weighted Runs Created Plus would hold steady through this period, but wRC+ is a broccoli stat for most fans, while AVG and RISP come in flavors such as vanilla toffee crunch and fudge brownie chunk. Meanwhile, advanced metrics would tell a story of declining defense, which had the numbers folks beginning to sour on him as well. The biggest blow came locally. The radio booth had long ago hung out their shingle in support of the prosecution. 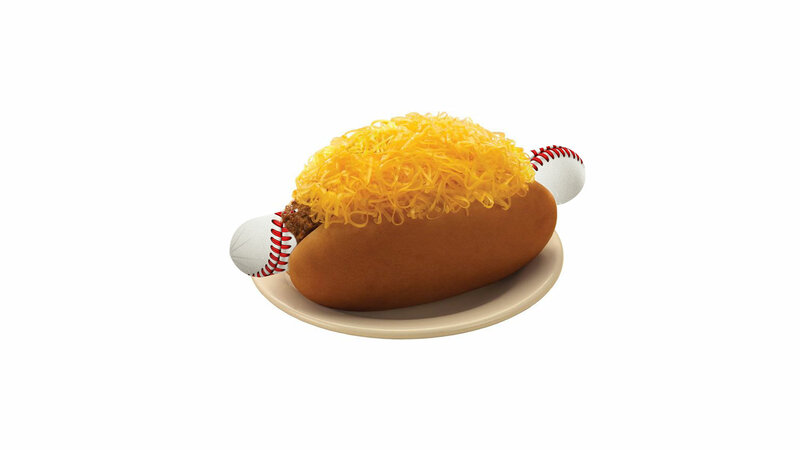 It wasn’t just the Cincinnati right-fielder’s diminishing batting average that drove some fans to distraction. It was the perceived inability to hit in the clutch, the long swing that appeared to wave indiscriminately at offerings far off the plate. It didn’t matter that Bruce would go on tears and carry the team for an entire home stand. When he was in one of his slumps, memories would fade. The When Will Jay Bruce Ever Get It? trope lit up the tri-state. It became a regular theme on the radio, 50,000 watts of frustration broadcast nightly to Redsland, with Bruce regularly taking his place in the stocks for his nightly whipping. Marty Brennaman’s words were a discordant note played by a gifted musician. He is a Baseball Hall of Fame Ford C. Frick award winner; a National Sportscasters and Sportswriters Association Hall of Fame inductee; and a National Radio Hall of Fame inductee. The radio voice of the Reds is no bar mitzvah singer. He’s Springsteen singing off-key. Perhaps the most egregious complaint by Brennaman centered around Bruce’s performance with runners in scoring position. The RISP stat is a Machiavellian number pretending to give insight into the true character of a hitter, vis-à-vis that nebulous trait better known as “clutchiness.” In truth, it’s a tiny subset of a hitter’s batting average, a small sample size Sinon cunningly whispering in the ear of the willing listener, lying about a hitter’s true worth in big moments. In the Brennaman world, RISP looms large. This was very bad news for Jay Bruce, whose calling card has always been power over batting average. The weight only grew for Bruce on social media, forcing him to close his Twitter account early into the 2013 season because of the unrelenting criticism of his inconsistent performance. 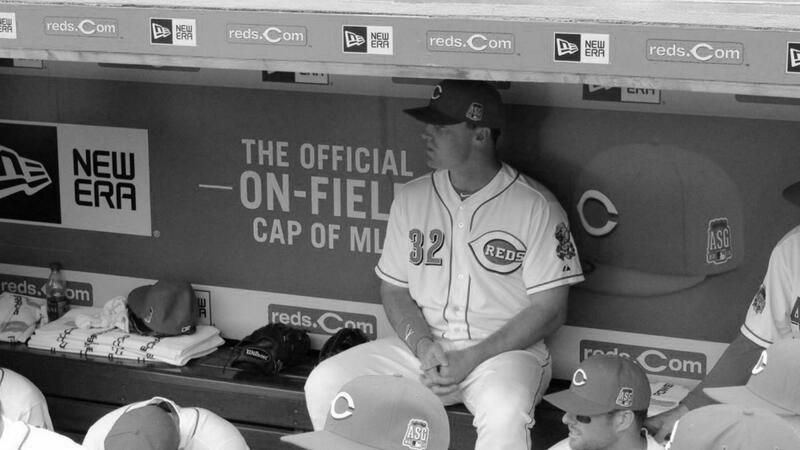 Jay Bruce was appearing in All Star games. Jay Bruce was winning Silver Slugger awards. And still his accomplishments were being diminished by some, not so much about what he did, but when he did it. 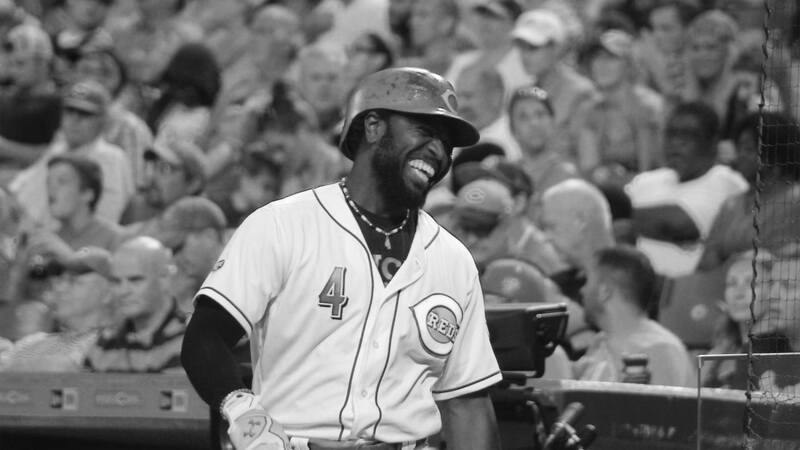 In 2014, Bruce began the season with a bum meniscus, but because the Reds were a M*A*S*H unit heading out of spring training, he elected to ride it out until the injury created a hole in his swing big enough to drive Jumbo Diaz through, forcing him to admit he’d need surgery. Eighteen days later, Bruce was back in the lineup, another miracle of arthroscopic surgery techniques. If only the laser could have mended his swing. With the help of Fangraphs, we have some insight as to what the last two years of Bruce’s career has been about. When Dusty Baker famously overworked Aaron Harang’s arm to the point of failure, Harang was never the same again in a Reds uniform. The arm healed, but the bad habits developed in an effort to avoid the pain ruined his pitching mechanics. The same thing may have happened to Bruce. Playing on a weakened knee, his swing has never been the same—2015 may have been proof. His ability to hit to the opposite field with power was greatly diminished. He never figured it out post-injury. Bruce has lost more power to the opposite field than anyone. As a result, he’s lost more overall production to the opposite field than anyone. It wasn’t just the injury-riddled 2014; Bruce ran a 47 oppo wRC+ in 2014, and a 56 oppo wRC+ in 2015. The opposite-field power went away with the injury two years ago, and the bigger problem is it never came back. Right now, no one wants Bruce. No one is giving up valuable prospects for the player Bruce has been for the past two seasons. 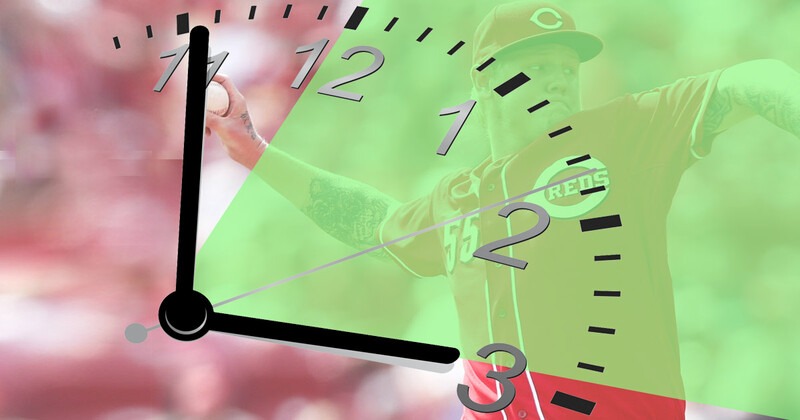 The Reds have money problems that no one has fully explained, and now seem willing to give him away, rather than waste $12.5M during a lost season or wait until July when he can rebuild some of his lost value. So, the Reds and a fan base wait one more time. Wait to say goodbye. Perhaps before Opening Day. But, soon. Almost certainly. Jay Bruce was always on the cusp. Every spring his youth provided hope. “He’s just 25,” we said. Then just 26. Twenty-seven. Twenty-eight. If Jay Bruce is finally ready to “get it,” it’s now almost assuredly going to happen somewhere else. Where that somewhere else is—is anyone’s guess. “No”, was all he said.